Waking up to full-on sunshine and a chorus of exotic birds, we started every day of our Global Consulting Project (GCP) in Belo Horizonte, Brazil with a fresh mind. And although the four weeks flew by- they certainly left us with a number of crucial experiences to take forward. Our first-hand challenge in Latin America began in early February when I decided to join the project with three other team-members. Our client – CSEM Brasil, a not-for-profit research and development organisation specialises in LTCC (Low Temperature Co-fired Ceramics) technology, and we were tasked to design a market entry strategy for the LTCC business in Brazil. During this project, we exercised several pieces of learning from our MBA programme particularly around task & team management, client management and self-management. For four weeks we conducted a wide range of research, analysis and discussions. With limited time, we decide to allocate our tasks corresponding to our advantages and strengths. 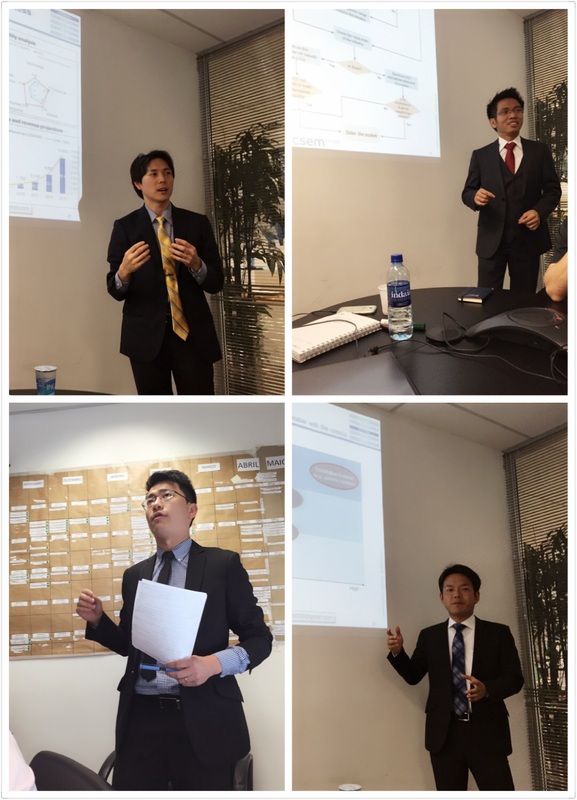 For example, a member who previously worked at a top-automaker in Japan led a chain of tasks about automotive industry; he could give the client a comprehensive view about the market and value chain in Brazil with regards to potential LTCC applications. We previously learnt this model of Collective Leadership- designed to maximise the output of a team – in our Management Praxis classes. By not relying on any one student playing a leadership role, all team members contributed to the outcome by leveraging their expertise. While we further made use of a variety of frameworks gained in Strategy, Marketing and Organisational Behaviour classes when developing our comprehensive recommendations to the client. However, we faced some rigorous challenges in managing the client’s expectations, especially when we finalized our final presentation. The client was keen to accelerate its growth and asked us to include a detailed action plan with potential M&A targets. I thought that we had scoped out a detailed analysis of M&A prospects at the beginning of the project but it still proved challenging to gather all the data for potential targets by the final presentation date. Considering the time and effort we could spend, we discussed with the client and agreed the level of deliverables. In Operations Management class earlier in the year, we learnt the quality of service is defined by the formula: Performance – Expectation. What this means is that the client would be unsatisfied with our service even if high performance, if we failed to share a common goal – in other words – an appropriate level of expectation. So it was meaningful for us to rehearse this relationship in the project setting. Ultimately, we learned how to manage ourselves throughout the project. Our team spent the whole project period in Belo Horizonte and it was all of our first experience staying-and indeed working- in Brazil. With the tough demands of project work, it was a considerable challenge to maintain our motivation and energy over a number of weeks. To cope with this, we planned a day trip to Ouro Preto, a historical site near the city, and enjoyed a vacation in Rio de Janeiro during the Easter break. In addition, I personally went jogging to a municipal park every weekend morning to maintain my physical and mental health- taking this cue from our MBA Leadership speakers who advised the importance of refreshment and relaxation to performance. So it was a useful opportunity to find modes of self-management as well as working in a team. Having returned and entered Easter term, I have already started new projects with Smart Villages Initiative and Cambridge Development Initiatives. Cambridge itself is a fantastic place where project, research and volunteer opportunities abound, so I plan to keep my leadership and management skills refreshed as we set our course for the latter half of the MBA.